Dear Channel Seven, stop treating viewers like idiots. 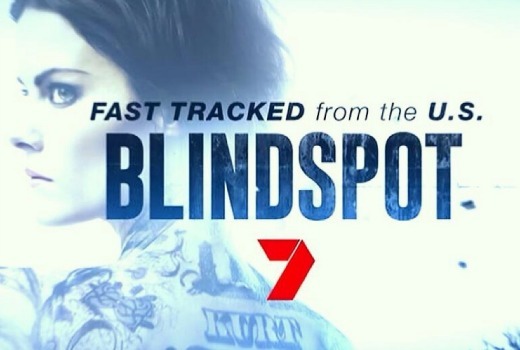 Channel Seven is still advertising US drama Blindspot as being “fast-tracked” from the US. The show (which I quite liked and reviewed here) premiered in the US on September 21st. Three episodes have now aired while Seven is yet to announce a premiere (it only confirms the show will air this month). I get that earlier plans have been overhauled, but this promo should not be running on our screens. Blatant false advertising does not endear anybody to your new product. Hi Pertinax, do you work for Channel 7? Has Channel 7 not heard of the internet? Do they not know that anyone can find out the airdate of any program? This is why people download torrents. The term “stop treating people like idiots” could be applied to any network. The networks don’t give dates for anything because they don’t want their competitors to know and program against them – they leave everything to the last minute – recently I’ve seen TBAs on Seven for Sunday night as late in the week as Wednesday. They are too busy playing the ratings game with each other to care about giving us times and dates for new shows – they know people will watch regardless (for the most part) as many plan their TV viewing at the last minute. If the US networks can give you their full schedule when their ratings return in September months in advance, why can’t we. It just shows paranoia and a lack of faith in their own content and programming. That’s clearly what the networks believe, along with thinking that people will sit thru 15 minutes of reality dreck while waiting obediently for their drama that was advertised for 8:30 to eventually start. However, the evidence says otherwise. There are a lot of people who have either given up on watching overseas dramas on Aus commercial FTA or who are at least reluctant to commit to them. Commercial networks have been treating their audiences with casual disregard for years but now actually seem to be trying to p!ss them off. They are in an information industry but they are terrible at communicating information to their customers. Many of those customers are now discovering much better alternatives to having to guess when their series will start and hoping that it will all be played out and in order. I’ve always thought there should be a law on this. Lock in schedules maybe a month in advance at least and then hold the networks for any changes where they control the circumstances. If only it was that easy! That may have been the case in the past, but not anymore. US shows have struggled badly over the past few years, even when fast tracked. How To Get Away With Murder and Empire both bombed here even though their first seasons were smash hits in the US. Two episodes of Quantico have now aired in the US and the show is only premiering in Australia this coming Sunday ( it’s a pretty damn entertaining show, too, plus it’s pulling in the ratings over there). Well said David. It is misleading and false advertising in my view. Seven need to change it, or live up to their claims. Both Arrow and The Flash are being fast tracked same day as the U.S on Foxtel. The Flash season 2 premiere was tonight and Arrows season 4 premiere is tomorrow. Well at least it’s not the most of year you have to wait for shows like Downton. No need to watch overseas content on free to air any more. Fast-tracked means an accelerated path, not ASAP. Seven thinks this month instead of next year is faster than usual. Viewers are smart enough to figure that out. It’s not rubbish, it’s not false advertising, it’s not even puffery. Seven are showing Blindspot on less delay than Foxtel are showing Supergirl (yet Foxtel are including Supergirl in their Express from the US promo). Most live viewers won’t care. Illegal downloaders will have already downloaded it to watch it immediately, without ads and a watermarks, in their prefered resolution no matter what Seven does with it. Good luck with that view in 2015. It’s not 2008 anymore. Reader poll suggests your view is not shared. It’s a promo that was clearly designed when Seven originally planned for it to air in Super September, but those plans had to be changed, partly after Heroes aired as a double n the US. So be it, things change, but stop running misleading promos now we are well past that. I am yet to find anyone in Publicity or Programming who will go on the record to defend they are still “fast” tracking. I totally agree with you David. Viewers are not happy to be told shows are being fast tracked, to then have no date in sight! If channel 7 can’t get their act together in regards to their programming then don’t advertise yet! In my eyes, fast tracking means the show should be air no more than 2 weeks after the US (and even that is too long!) Super September turned out to be not so super and rather than string everyone along, they would be better to come out and say “we stuffed up, but we will get the following shows to you on x, y,z dates – even if it is still a few weeks away.” Rather than all of this coming so and fast tracked nonsense! 2 days max for an episode to be considered fast tracking. I’m more generous. I believe within 5 days can be considered fast tracking… But that’s just my opinion. “Fast-tracked” means accelerated, that’s just English. Nobody misunderstands Seven, they just don’t like it, they want stuff free now. Using the dictionary definition is not misleading, making up your own definition to argue they are is misleading. What is the point of trying to rationally point out the meaning of a term and reality of FTA programming to those who will never listen to reason? The only shows aired in primetime according that criteria are Scream Queens (marked for a secondary channel) and Homeland (which rates lowly and was going late on a night where Ten does badly and doesn’t care). Everything else is a week or weeks later. Yes it’s 2015, rigidly following a US schedule has been proven to destroy shows on the other side of the world. You will be able to get much US TV as soon as it airs, so long as you pay for Foxtel, Netflix, Stan, Presto. Don’t see anybody referring to the Dictionary term, everyone else is using it in a television context. But if we want to be literal fine: Seven said it would be fast-tracked in September. They deserved to be called out for it, comments and poll indicate considerable agreement. It is all three along with insulting. Dress it up anyway you like, it’s still a pig with lipstick. Then sue them under the Trade Practices provision of the Competition and Consumer Protection Act. [Note puffery is legal under the act and its less than that]. Seven are indeed “fast-tracking” The Muppets and Blindspot because they originally were going to air them in 2016 and have brought them forward to October. Don’t believe the bull coming out of 7 anymore. One for Quantico saying “Coming soon”- its airing Sunday at 8.30. Two ads in a row for The Player- the first saying Wed at 9.30 then the second saying “Coming soon”. If a Network cant bother to tell me when shows are on how do they expect me to watch them on their Network? Won’t happen as long as the industry writes its own codes of practice. It’s not just The Blacklist. Just about every show on the network with the “fast-tracked” label (except maybe Heroes) is not fast-tracked. TAR(US), The Player, Quantico all given the fast tracked label and all (surprise surprise) not airing within a week of US airing.